Evander Holyfield reigned as the undisputed champion in both the cruiserweight and heavyweight divisions, being the first and to date only boxer in history to do so, which earned him the nickname of “The Real Deal”. 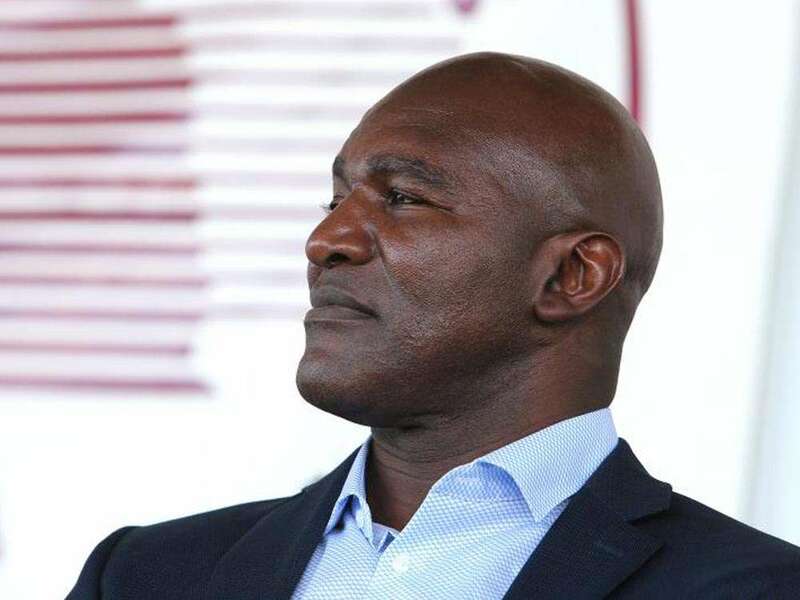 Holyfield is the only four-time world heavyweight champion, having held the WBA, WBC, IBF, and lineal titles from 1990 to 1992; the WBA, IBF, and lineal titles again from 1993 to 1994; the WBA title from 1996 to 1999; the IBF title from 1997 to 1999; and the WBA title for a fourth time from 2000 to 2001. He successfully defended the undisputed heavyweight title three times, scoring victories over former champions George Foreman and Larry Holmes, before suffering his first professional loss to Riddick Bowe in 1992. Holyfield regained the crown in a rematch one year later, defeating Bowe for the WBA and IBF titles (Bowe having relinquished the WBC title beforehand). Holyfield later lost these titles in an upset against Michael Moorer in 1994. Holyfield was forced to retire in 1994 upon medical advice, only to return a year later with a clean bill of health. In 1996 he went on to defeat Mike Tyson and reclaim the WBA title, in what was named by The Ring magazine as the Fight of the Year and Upset of the Year. This made Holyfield the first boxer since Muhammad Ali to win the world heavyweight title three times. 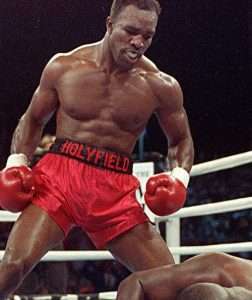 Holyfield won a 1997 rematch against Tyson, which saw the latter disqualified in round three for biting Holyfield on his ears. During this reign as champion, he also avenged his loss to Michael Moorer and reclaimed the IBF title.